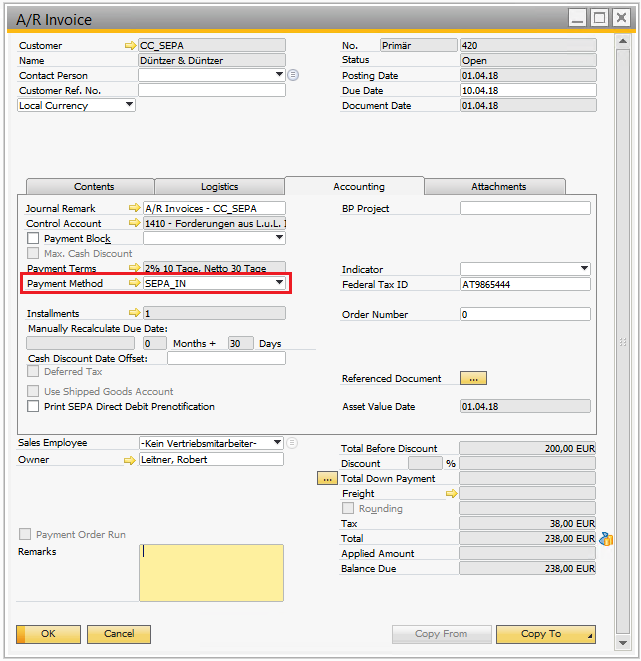 SAP Business One enables users to create outbound banks files using predefined format from executed payment (order) run. .bpp format — designed with SAP Electronic File Manager (EFM) add-on, can be downloaded/uploaded. 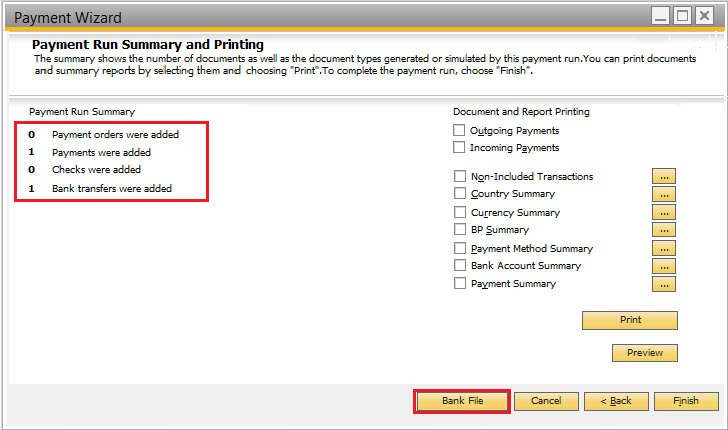 Prior to SAP Business One 9.3, you have to install Payment add-on to create bank file using any type of formats. 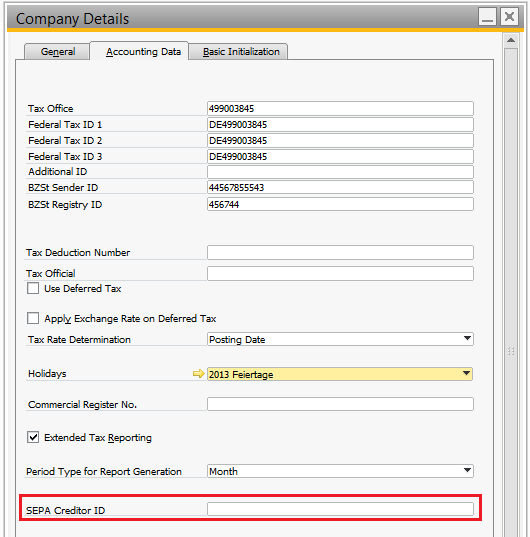 In SAP Business One 9.3, Payment Engine is merged to core functionality and you can create a bank file using .bpp format without Payment add-on. However, Payment add-on is still required for creating bank file using .dll format. The integrated Payment Engine will create data source (.xml) file in the temp folder when creating bank file. 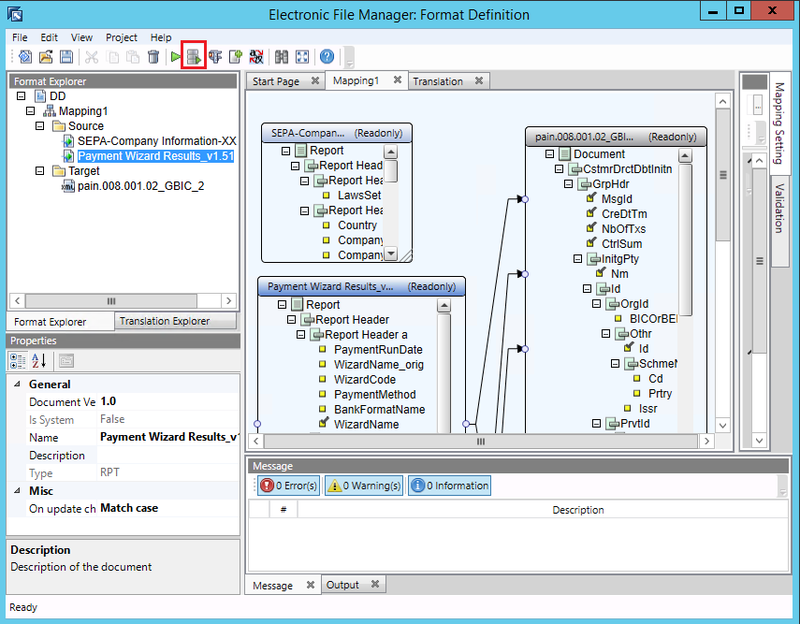 The xml file can be used for troubleshooting with EFM add-on. 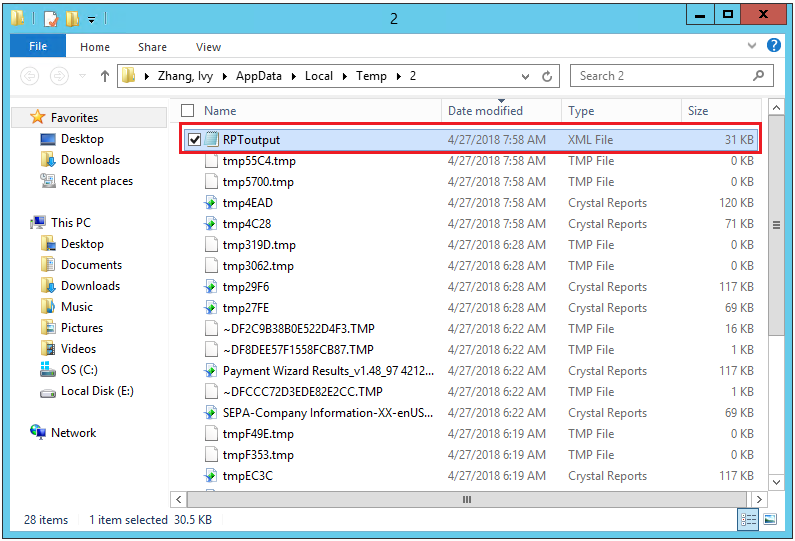 Here is an example on how to do advanced test run for troubleshooting using SEPA DD format. 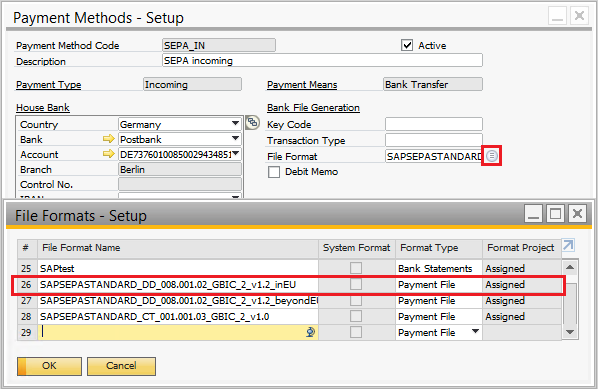 1.Define Payment Method “SEPA_IN” with a .bpp bank file format selected. Then assign the Payment Method to relevant Business Partner. 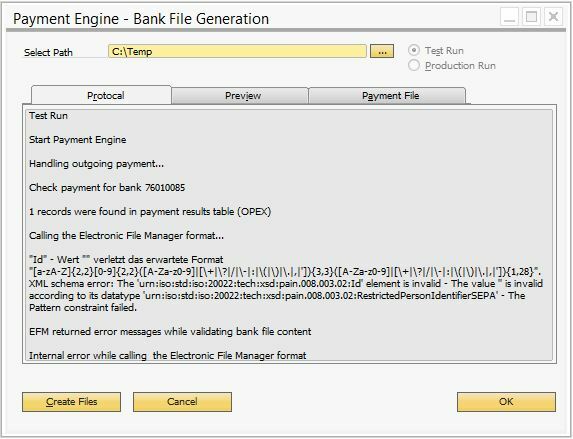 Note: Only the Payment File (.bpp file) with Format Project ‘Assigned’ can be used to create bank file with integrated Payment Engine solution. Other payment files (.dll) must be working with Payment Engine add-on. 3. Run Payment Wizard to pay the invoice. 4. 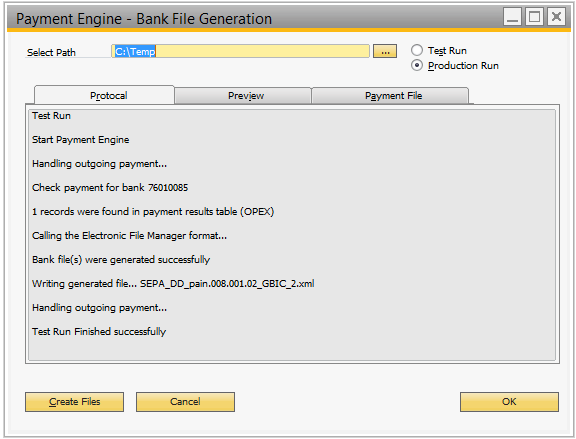 Try to create bank file using the integrated payment engine solution. You received error. 5. 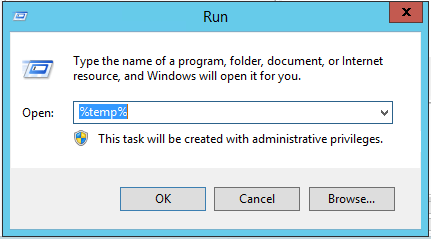 Once you receive the error, a Data source file “RPToutput.xml” was created in temp folder. You can copy the “RPToutput.xml” and save it somewhere you can access later. 6. 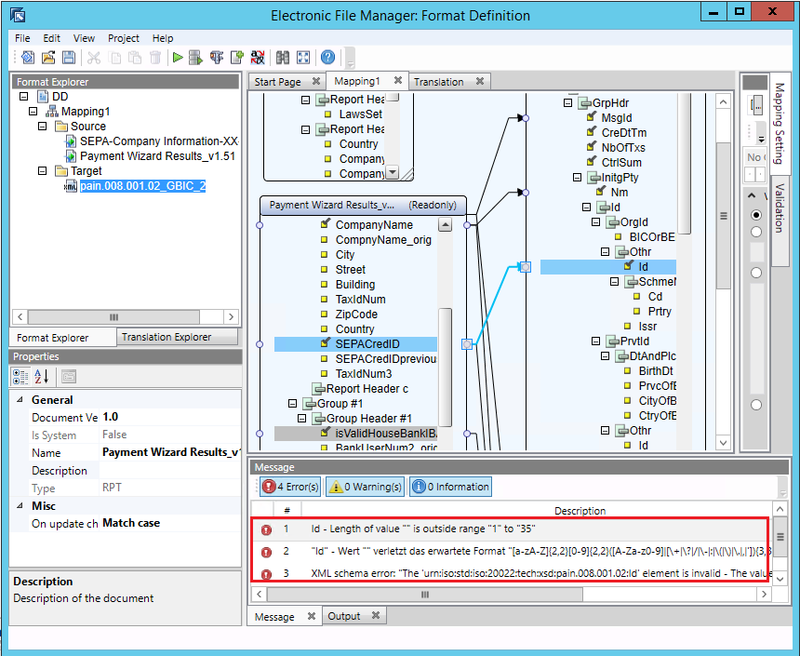 For troubleshooting, open the BPP format with EFM add-on. 7. 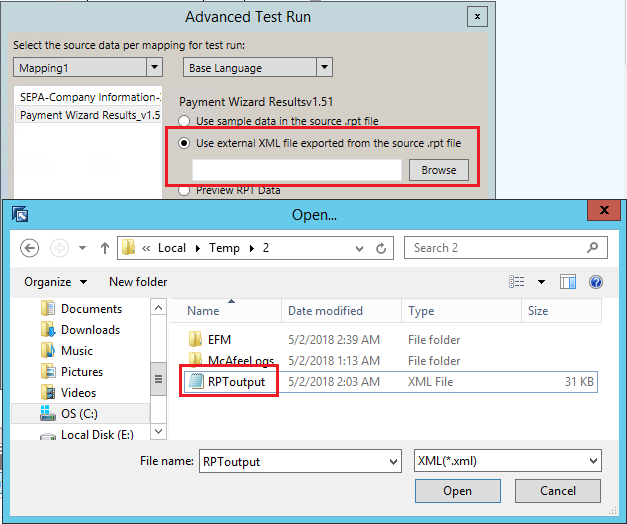 Click “Advanced Test Run” button, for each source file involved in the Mappings, select the Option “Use External XML file exported from the Source .rpt file” and browse to the “RPToutput.xml”. 8. Execute the test run with the data source file, you will receive error messages. Double click the error message, system will highlight the affected node automatically. Check the mapping setting of the affected node and analyze the root cause. In this case, the node “Id” is linked to “SEPACreditID” in the source. 9. Check the “SEPACreditID” in Company Details. It is not defined. 10. Define the “SEPACreditID” and try to create the bank file for the same payment run again. The bank file is created successfully. Please also refer to SAP Note 2069702 for more details about Advanced Test Run functionality.